Frungillo Caterers is happy to announce our newest venue, The Hangar at the Essex County Airport. Nestled in the beautiful township of Fairfield, New Jersey on the west side of Essex County Airport, our large 10,000 square foot airplane hangar transforms into a banquet and reception hall large enough to host up to 1,500 guests for a cocktail reception or 1,000 guest sit-down dinner. 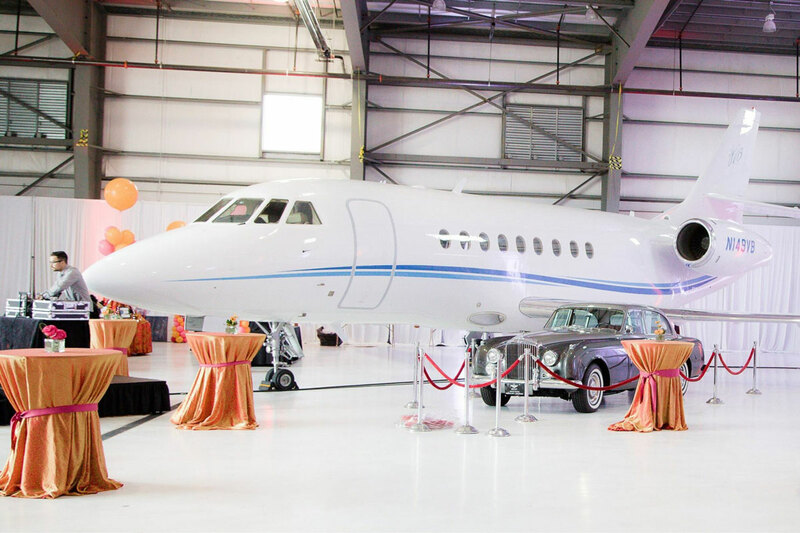 Featuring an expansive, flexible space that will be sure to fascinate and inspire guests of all ages, The Hangar has a timeless aviation-themed ambiance that is symbolic of a new journey.